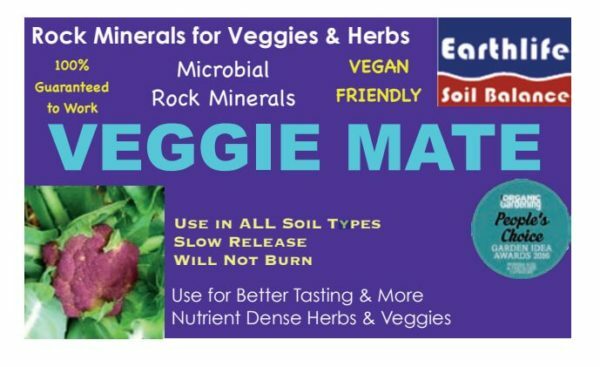 Veggie Mate promotes healthier vegetables/herbs, more able to withstand adverse conditions. Encourages earthworm activity. 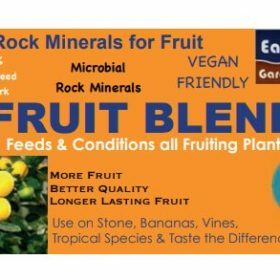 A 100% natural plant food containing 60 mineral elements, including plant available silica, natural rock phosphate, organic material and over 30 benefcial soil micro-fora species. Does not contain animal waste products. Promotes healthier vegetables/herbs that are more able to withstand adverse conditions. Helps plants resist pest and diseases and improves post harvest shelf life. Encourages earthworm activity and discourages nematodes. In the preparation of all new and existing vegetable gardens. 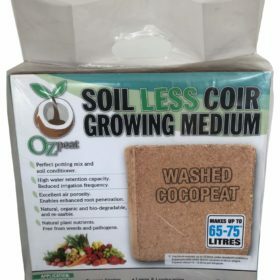 Gives excellent results especially when used in the preparation of the vegetable bed and in the planting hole. FRUITING VEGETABLES eg; tomato, brassicas, every 3-4 weeks. Also use Fruit Blend @ 100-200gm/m2 (1-2 handfuls) every 3-4 weeks. More often if necessary.